If you're using Speakon connectors to hook your PA speakers to an amp, Whirlwind's MultiLine NL4 is an excellent cable. 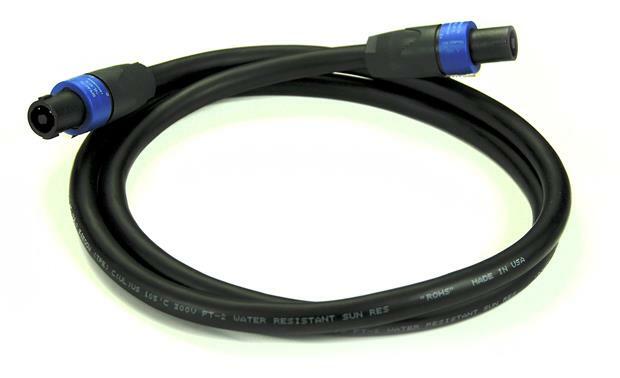 It has locking connectors at both ends, and because the cable has four conductors, it can be used for regular or bi-amped connections. Cable has a good construction, heavy duty speaker cable, Welded cable to Speaker-on terminal no loose or faulty connection. Searches related to the Whirlwind MultiLine NL4 Series 4-conductor speaker cable with Speakon® connectors.